Autodesk 3ds Max 2019 out now! 3ds Max 2019 introduces brand new features. As audience expectations for increasingly complex and VFX-heavy shots continue to rise, studios need to be able to manage projects efficiently to stay on deadline and budget. Studios everywhere suffer from the same challenge: Efficiently managing an increasing number of shots, assets, and projects. Timely review and collaboration has never been so important. • Structure project folders in a way that makes sense for your pipeline — and automatically switch between projects when opening a file from a different project. • Custom data can be stored within a 3ds Max scene file, and accessed without loading it into 3ds Max. • It’s now easier to share Alembic data between 3ds Max and other 3D tools, with support for UVs, layer names, material IDs, and vertex color. • Extensive support for Open Shading Language maps, including over 100 included shaders. • Advanced wood procedural textures, including maple, cherry, oak, pine, mahogany, and more. • With a new Shape Boolean object, users can perform Boolean operations parametrically on geometry created around splines. • Edit scenes directly in VR with 3ds Max Interactive. 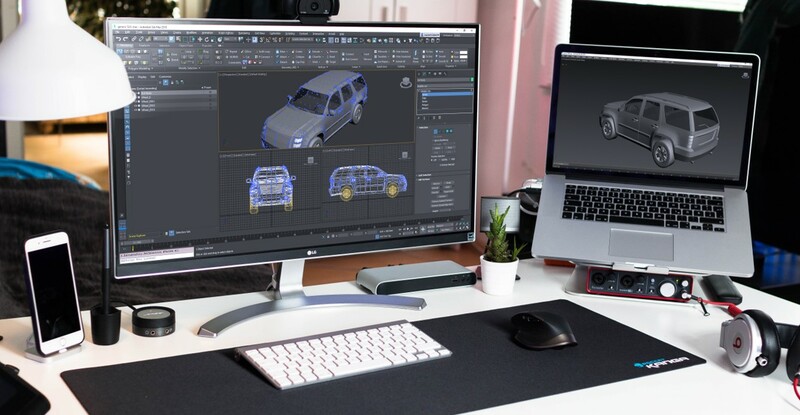 • Sharing assets with reviewers and collaborators from 3ds Max is now simpler than ever: Assets can be shared to the online Autodesk Viewer directly from the 3ds Max interface, so reviewers don't need to install extra software or sign in to view the content. • Reviewers can view, markup, and take screenshots of content directly in-browser, and feedback can be reviewed from within 3ds Max. This release includes over 150 fixes, many that were submitted by the 3ds Max user community. 3ds Max 2019 also incorporates refinements to previously added features, including Max Fluids, VR workflows in 3ds Max Interactive, Max Batch, and Spline Tools.